Secure and strong our bar type panel door is great for residential or commercial applications as its strong and attractive, adhering to most council requirements. 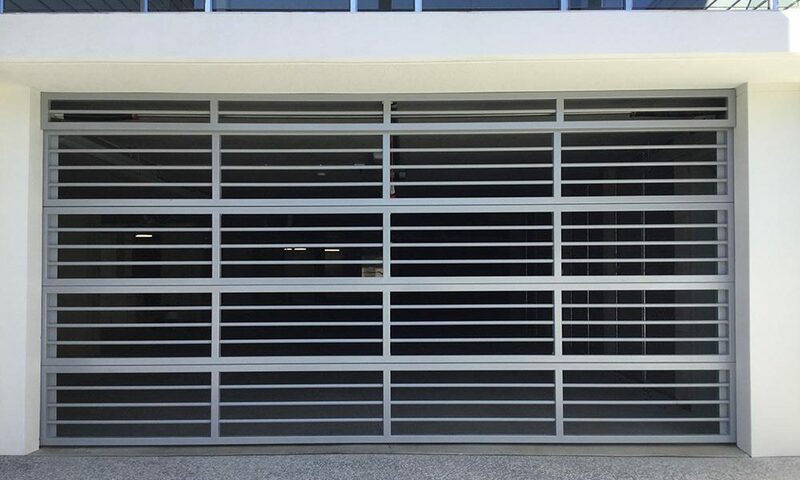 Bar panels are manufactured on the Gold Coast from 25mm aluminium horizontal rods running through a 50 x 50 x 1.6 box section aluminium frame (3 rods per panel). The door and hardware are supplied standard unless otherwise stated to be powder coated to the colour of your choice at an additional charge. Available in door sizes: 1485mm – 3050mm high & 1550mm – 6400mm wide. For added security an aluminium flat sheet can be fitted behind the top panel preventing the reach of the manual release. Pearl and special powder coat colours are also available at an additional charge.